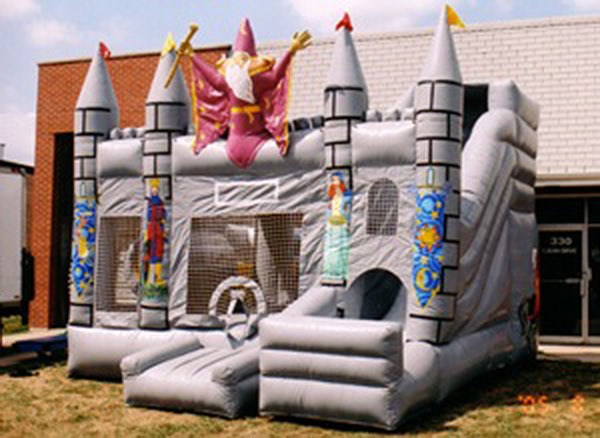 This is The Party Connection's new 4 in one wizard castle. It's the best value because its 3 pieces in one. You get a moonwalk, small obstacle, and a slide all in one combo unit.